And she hasn't seen the portrait yet. hahahahhahahahahaha laugh laugh laugh! she looks like she's gonna bite his head off. 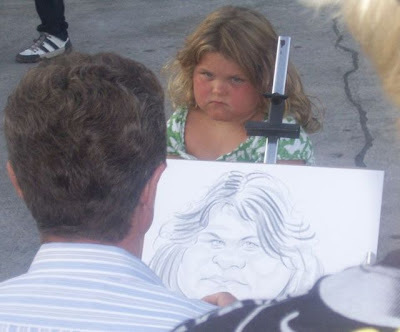 i wonder what the dude is thinking while he's drawing her? !